Hip Hop Media Training recently spoke to Chris Kelly to find out what he’s been up to since the group released its last album, Young, Rich & Dangerous, in 1996; why he still wears his pants backwards, what prompted Kris Kross’ beef with Another Bad Creation, and how they discovered Da Brat. Kelly also offered commentary on some of the other most popular kid rappers of all time. See the Q&A below with Kelly. Hip Hop Media Training: What have you been up to over the years? I heard you went to school to be a music engineer? What made you do that? Chris Kelly: I just wanted to do something different. Get more on the technical side of things than just being an artist, and produce. I just wanted to be [the] all around best I could be as far as doing everything. 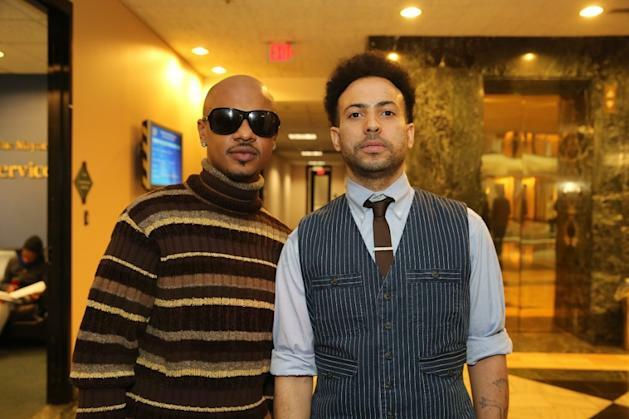 So is it true that the upcoming Kris Kross show is not the beginning of a Kris Kross comeback? We just doing this one show and gone see how it goes. Have you and Chris Smith been in communication the whole time? Me and him, we have our times when we don’t talk and our times that we do talk. But if it’s any time that I needed him or needed to reach him it was never a problem. 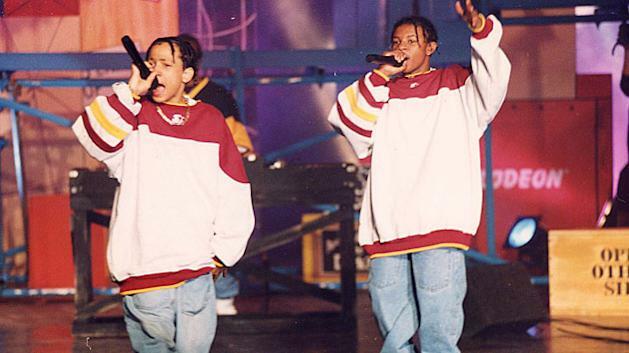 Kris Kross was known for wearing their pants backwards. Where did that come from? It was kind of a collective idea. We was all just sitting around thinking of something to do different. It probably could have been Jermaine that said, “Hey let’s put our pants on backwards.” I was the first one to do it, and I’m still the last one to still be doing it. We went to the mall and got so much attention. We was like, “Ok, this is it.’” And it just went from there. How uncomfortable was it to wear your pants backwards? I don’t know. Everybody always ask me that. But you have to understand I’ve been wearing my pants backwards for 21 years. Really since ‘91 ‘cause we started a year before we even came out with a record. When I wake up that’s how my pants get put on. Are you saying that you’ve continued to wear you pants backwards all these years? Yeah. I’ve worn my pants backwards since 1991; never frontwards. If you go back to 1991, did people tell you you were crazy for wearing your pants backwards? Yeah. Yeah. And you know people today are like, “Well, I can’t believe you still wear your pants backwards.” Even if I put on a suit, I put my suit pants on backwards. It’s just a way of life for me. Was there real beef with Another Bad Creation? Just the bases that we both was from Atlanta. We felt they just didn’t rap. We felt that they was more of a signing group. Then, the whole clothing thing. They said they started it first. We said we started it first. You know how little conflict start. Did you ever get to know those guys? Actually, I met them on a couple different occasions when I was doing some stuff with my former artist LiLi. I was doing some open mics with her and they were on the show. And we did a few parties together. It wasn’t no problem. We actually ended up being kinda cool. You’ve talked about having Alopecia. How did you find out that you had that issue and how did you deal with? I knew I had Alopecia way before Kris Kross started. I had that since I was a real little boy, around 4 or 5. The thing is with that when I was younger my hair would fall out and it would grow back. But with Alopecia, sometimes it gets to a point where it will never grow back. And that was one of the crazy things when we stopped making records and disappeared from the scene. People thought I had cancer. That was one of the biggest misconnections and biggest rumors that wasn’t true. A lot of people don’t know that Da Brat got her debut on a Kris Kross record. What was your impression of her back then, before she debuted? A lot of people don’t know that me and Chris we’re the ones that discovered her. She rapped when we were on tour back in the day. We used to have a talent show and she actually rapped on that talent show. We were doing Oprah Winfrey the next day and Chris actually brought her to the show and introduced her to Jermaine. What kind of props did you guys get for discovering her? It was never really mentioned like that. We knew Jermaine was starting his label and brought him a dope rapper. How would you describe what your music sounds like today? That’s a hard question. I just don’t want to label something cause I do a variety of stuff. Mind if I read a list of current and former kid rappers to you and get your response? I think they had a great look. Good sound. All round good group. Same thing. Great image. Great personality. Very talented person. He surprised me as far as he came. All-in-all just a great rapper. I can’t even comment because I never even listened to her records. I actually thought he was real talented. I thought he was an amazing rapper. I never really listened to him like that. Great personality. Got a good future. That’s one of my favorite rappers of all time. That should explain it right there.